October 2015 - Perry Hood Properties, Inc. There are a number of concerns to deal with around your home when fall arrives. One of the biggest annoyances and frustrations for most homeowners is pests trying to escape the cooler outdoor weather and getting into your house. While a preventative call to an exterminator is always helpful, there are a few other efforts you can make yourself to make your home more difficult for insects and other pests to infiltrate. It’s pretty simple when you think about it. Spiders, bugs and mice all get into your home through small holes and cracks around windows, doors, dryer vents and other areas. Insects can typically squeeze through holes no bigger than 1/16 of an inch, while rodents only need about a quarter inch opening. Caulk, expandable foam, copper mesh and cement can all be used to close up gaps. Sealing your home also serves to make it more energy efficient so it’s a worthwhile exercise before the weather gets cold. If you’ve stepped outside with your porch light on after dark recently, you’ve noticed the swarm of moths and other insects present. 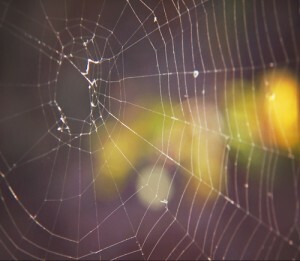 Not only do you outdoor lights attract insects, but they bring other pests like spiders, who don’t react to the light but rather the assortment of bugs the spiders typically eat. The simple solution is to turn these lights off to keep the bugs away, but leaving the outside of your house dark all winter can be unsafe. Instead, consider replacing bulbs in your outdoor lights. There are a few alternatives to traditional bulbs that are less likely to attract insects. Shrubs, trees and ivy look great around the outside of your home, but they are also home to a variety of pests. If insects, spiders and rodents make your garden home, it’s more likely that they’ll try to migrate indoors when it becomes warmer than outside. If you don’t want to completely move plants farther from your house, you can research specific plants that are inhospitable to the type of pests you’re usually seeing. This is also a reason to clear away fallen leaves and debris, which can also be home to pests. Even with all of these precautions, some pests are still likely to get inside from time to time. In order to make your home less attractive to them, it’s important to keep it tidy. Obviously, when food, crumbs and residue are left uncleaned, ants and mice are likely to be drawn. Sweeping and vacuuming also makes it less likely that you’ll face an infestation. Even clutter like piles of clothes or books can be a good hiding place of bugs. And, the longer they’re allowed to hide in your home, the more likely they’ll be able to breed and become a much bigger problem. By keeping floors swept, and your home clean, pests become easier to spot and less likely to stick around. Taking these steps now can help you enjoy a pest free fall and winter. And if you’re ready to move out of your old home and into a brand new one, contact us at Perry Hood Properties. We have a number of currently available homes in Tulsa, Broken Arrow, and Bixby, or can help you build your dream home in neighborhoods throughout the area. Where Should These Rooms Be Located In My Next Home? When building your next home, you have the opportunity to change specific elements of your current home that you’ve found cumbersome and impractical. One particular opportunity that is present during the design phase is the ability to place certain rooms where they’ll be most convenient for you and your family. How you typically use and live in these rooms will dictate where they’re best placed within your home. Here are a few of the most important rooms, in terms of placement, and some insight into how to consider where they should be located in your home. The placement of your laundry room is arguably the most personal decision you’ll make in your home. Ask ten people where they’d most like their laundry room and you’re likely to get ten different answers. Generally, having the laundry room close to the bedrooms makes the most sense, but some prefer to have it close to the main entryway in order to immediately capture muddy clothes. Others are open to an upstairs laundry room, but some don’t want to be forced to walk up and down stairs just to do a load of laundry. This is where a careful analysis of how you use your current laundry room will come in handy and give you an idea of where it will work best in your next home. It’s tempting to want your master bedroom to be close to the living room and kitchen so that all your most often used spaces are close by. When you do so, however, you put your peaceful bedroom in high traffic areas, which makes it much less peaceful. This is especially true if you have other members of your family living in your home who will be using those areas while you’re sleeping. Remember too that you also don’t want to be too close to the garage either. While, ultimately, these decisions are up to you, most people find that avoiding sharing a wall with a high traffic area makes for a more usable and enjoyable master suite. Again, consider how you most often use the kitchen. Of course it’s a place to prepare meals. For many, it’s also where most meals are eaten. You’ll also be bringing in groceries weekly to unload there. And, during parties, it’s the room where most guests congregate for some reason. With that in mind, where should the kitchen be located? In most cases, putting it close to a main entry point is preferable. This way, unloading groceries is simple, guests gain quick access to it and, while you’re cooking, it’s easy to keep track of who comes and goes. In many cases, it’s a good idea to put the kitchen close to the main living area too. Not just so snacking options are close by, but also because it diverts some of the traffic from the living room through the kitchen. The placement of your garage is slightly more limited than other rooms, but it still requires some thought. It’s likely to be on the front or side of your home and on the main level. Based on what we know about the placement of other rooms, we also know it’s likely to be near your kitchen. You probably don’t want it close to any bedrooms if possible, however. If your family is one that uses the garage as the main point of entry, it’s also a good idea to place the laundry room close by. Consider that, especially if you have small, active kids, there may be many dirty shoes and articles of clothing coming through the garage. You certainly don’t want those going directly into a living area or bedroom. Having them in the kitchen isn’t so bad, and of course being able to divert them directly into a laundry room or mud room is ideal. At Perry Hood Properties, we have more than 30 years of experience building homes for families in Tulsa, Bixby and Broken Arrow. After considering how your family uses your home, come see us for recommendations and suggestions on designs for your new home. Contact us today to start your home building process, or consult our listings of already constructed and available homes. The fall can be a particularly dangerous time around the house as a number of fire risks will be present. In fact, October is Fire Prevention Month. With that in mind, here are some specific risks you’ll encounter during the fall and how to prevent them from turning into a disaster. Every home should feature both of these helpful safety devices, and most do. Unfortunately, it’s easy to forget about them and let batteries wear out. Both smoke detectors and carbon monoxide sensors should be checked at minimum twice per year and the start of fall is an ideal time. Go ahead and replace the batteries even if they’re currently in working order. Then test to ensure these alarms are able to alert you in case of emergency. In many cases, especially with carbon monoxide sensors, you may need to install additional alarms, or move them so they’re easier to notice. Since many of us will be using the stove and oven more in the fall and winter, now is a good time to brush up on fire prevention tips for your kitchen. The first and most important tip is to never leave cooking unattended. When you walk away from a stove in use, you allow for the possibility that grease will ignite, a nearby flammable item is too close to heat, a child or pet could disturb cooking and cause a fire or a number of other dangerous situations. Each year, more than 150-thousand house fires are caused by cooking equipment. Don’t take any unnecessary risks. Additionally, know how to deal with a fire if it starts in the kitchen. Turn off heat to the stove immediately and cover a flaming pot or pan with a lid until the fire goes out and it cools down. If a fire starts in the oven, turn it off, but don’t open the oven door. For chilly nights and mornings, many of us use space heaters around the house. Unfortunately, there are many potential hazards tied to these heaters if you’re not careful. They should never be left on when you leave or while you sleep. 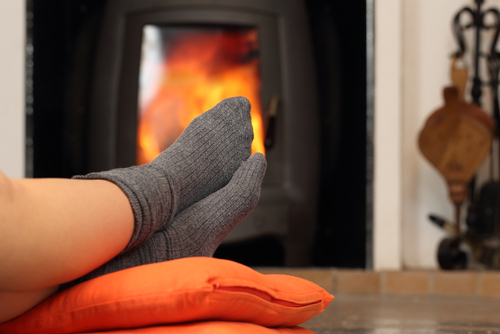 Modern space heaters often come with thermostats or timers to keep you from leaving them unattended. Additionally, it’s important to keep the area around your space heater clear. It should be sitting on a non-flammable surface and be at least 3-feet from any flammable materials. Rather than part of prevention, your family’s escape plan is important in the event of an emergency. Everyone in your home should know what to do in case of fire. First, be sure you have a working fire extinguisher and that everyone knows where it is and how to use it. Next, set up multiple escape routes and practice them. Each member of the family should know how to get out regardless of where they are in the house at the time of a fire. These escape routes may require additional items like ladders, so be sure to include training for that as well. The start of fall is a good time to remind yourself about changing smoke alarm batteries, having your furnace inspected and having your fireplace and chimney cleaned and inspected. Each of these tasks should be done at least once per year, so get in the habit of doing it at the same time annually. If your family is ready for a new home, come see us at Perry Hood Properties. We build homes throughout the Tulsa, Bixby and Broken Arrow areas. Look through our current selection of available homes, or contact us to start the process of building your own custom home today. The first thing many of us do when moving into a home is to try to make it more comfortable and as attractive as possible by buying furniture and other items that really make it a home. Another initial concern, however, is making your home unattractive to burglars. While installing a home security system, sturdy doors and locks help keep burglars out, there are a few tricks you can do yourself to deter most intruders. Lights are extremely important to home security. Let’s start with interior lighting. When a home is dark, it looks empty. For a burglar, that’s an ideal time to attempt a break-in. You could simply leave a light on when you go out, but intelligent burglars will notice that the same light stays on at all times. Instead, consider adding timers to lights so that a different room is lit each time a potential intruder drives by. For exterior lighting, similar tricks can be used. Whether you use a timer, motion sensors or light sensors, be sure that each entry point to your home is well-lit at all times. This is helpful when you come home after dark and shows burglars that they’ll be extremely visible when they attempt to break-in. Did you know the trees and bushes around your home also play a part in security? If you have large, mature trees on your property, it’s important to keep them trimmed. Otherwise, you may be providing a way for strangers to access your roof or upstairs windows. Shrubs and bushes around your home provide hiding places for burglars. They use them to remain hidden from passers-by so they can break in unnoticed. Keep these trimmed as well so neighbors can see if anything suspicious is happening on your property. Finally, when your lawn gets long, it suggests to burglars that you might be on vacation. Keep your lawn mowed and well-maintained to show that someone is often at home. If you do go on a trip, ask a friend or neighbor to cut your grass while your gone. They can also pick up the mail, newspapers and any flyers that are left. 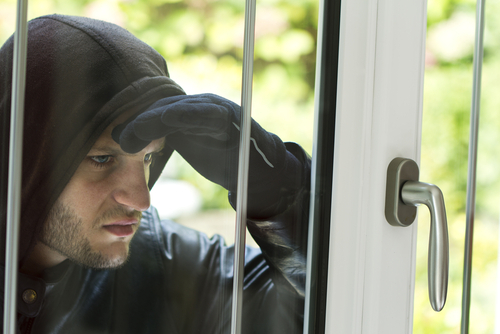 Burglars are typically looking for the easiest home to break in to. That means the key to deterring them is to make your home look well-secured and like too much trouble. To do so, consider adding a security company’s yard sign to your front lawn or flower bed. Even if you haven’t installed an alarm system, the presence of the sign might be enough to keep an intruder from even trying it. You can install other signs of security as well. For example, fake cameras can be installed on your porch that give the impression that a surveillance system is in place. Motion sensor lights also give the impression that additional security equipment is in place. In addition to these tips, be sure to keep valuables and electronics out of sight to avoid enticing burglars and thieves. If you’re ready to build your next home, contact us at Perry Hood Properties. We build high-quality homes in some of Tulsa, Bixby and Broken Arrow’s best neighborhoods. You can also browse through our already constructed and available homes and move in almost immediately.